I still can’t believe it’s somehow been just over 8 weeks since we set off on our New York adventure, I can’t even begin to describe how much I miss it! From the afternoon walks around Central Park to the bright lights of Times Square, I’ve officially fallen in love with a city thousands of miles away and I can’t wait to go back! During our stay we went to a mall to do some shopping and the mall just happened to have a NYX store in and I’m weak so here we are with this haul and I have zero regrets. 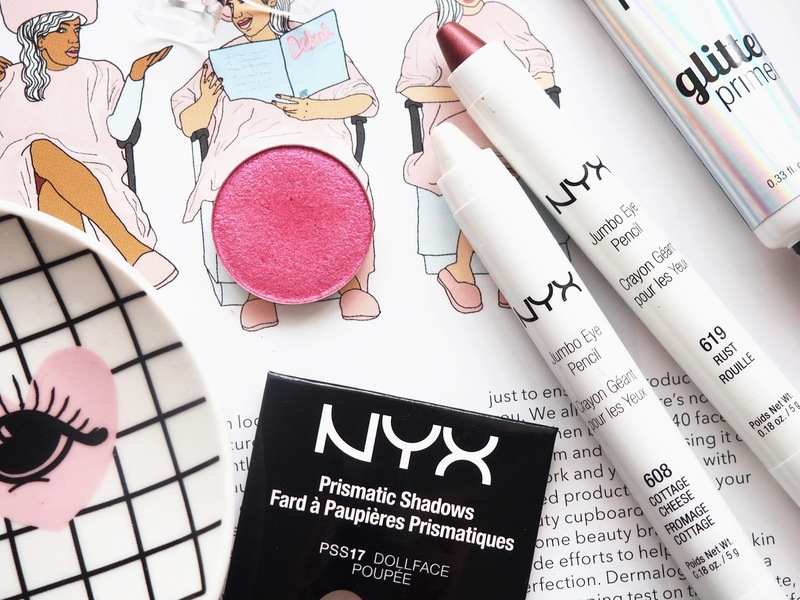 I love NYX, I have done for years now with their quality products at affordable prices. 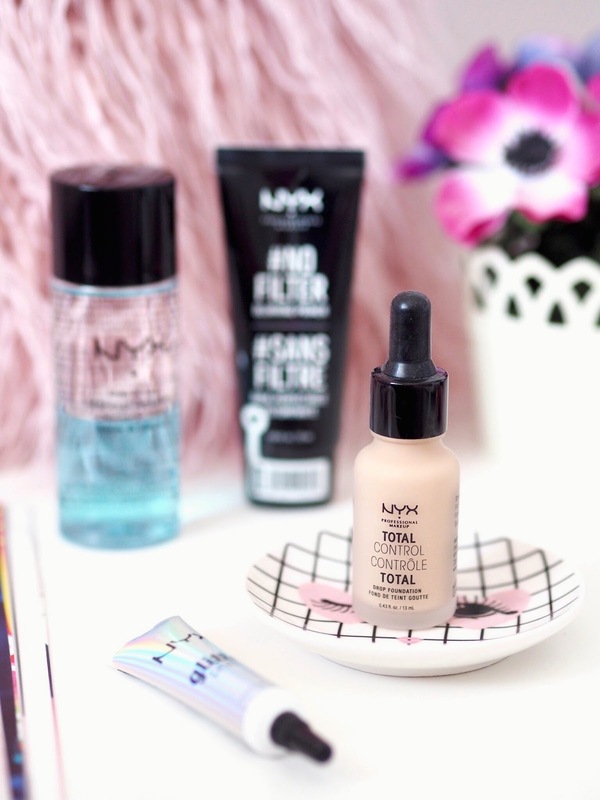 Whilst we’re lucky enough to finally have NYX here in the UK, we still seem to get products a few months after the US – something that annoys me big time with brands damn it – so I made the most of the fact I could actually get my hands on these products when I was there. Whilst the temptation to go crazy and buy half the store was incredibly real, I’d already hit Sephora, MAC and CVS that day so I had to have some form of self control. One of the first things I picked up was the Eye and Lip Makeup Remover. This was something I needed to purchase asap as my usual eye makeup remover decided to explode and cover my toiletry bag in oil, just what I needed to deal with at 3am after a 7 hour flight and a messed up hotel transfer! I’ve been really liking this one actually, I’m normally really fussy with eye makeup removers as I hate that overly oily feel but this seems to be one I get along with. It removes all my makeup really easily and it doesn’t irritate my super sensitive eyes, I’m really glad I picked this up. When I saw the brush stand the Duo Fibre Precision Brush stood out to me and I knew it was coming home with me! I love duo fibre brushes, especially for applying base products and I thought this looked perfect for buffing out concealer. I’ve really been loving this brush and I like how easily it blends out my concealer without looking cakey or over applied. I wish I’d got more brushes to try now! As I walked round the store I then noticed a little ‘new in’ stand and of course I darted towards it like my life depended on it and that’s when I saw the #NoFilter Blurring Primer. 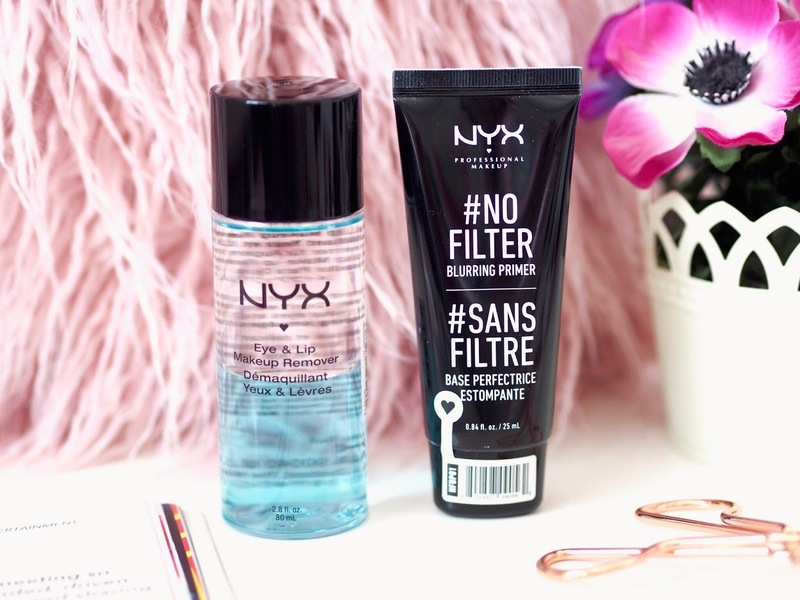 If it says it blurs, I instantly need it so I couldn’t wait to try this primer. I’ve been using it loads since I purchased it and I will put up a full post reviewing it soon! I just love how this really smoothes my skin without having that dry peeling texture that I find pore fillers can have. It adds such a soft blur to the skin and I really like how my foundation sits on top of it… adios pores, hello flawless base. One of the products I knew I wanted to get in America was the Total Control Drop Foundation. Now I’ve seen loads about this across social media, it seems to be a bit of a hit or miss product so me being the foundation addict I am I obviously had to pick it up and give it a go myself. Annoyingly it’s been the one product I’ve haven’t been able to use much as I stupidly matched the colour to my skin whilst my tan was pretty faded. As I was in such a rush I didn’t think about it I properly I just grabbed it, threw it in my basket and headed to the tills – why Samm? W H Y. As I’ve been wearing tan religiously over the past couple of months (what has happened to me?! I just can’t be without a tan now!) there’s not actually been a long period of time the shade matches me to give it a proper try as I’ll usually reapply my tan before then. I have managed to use it about 3 times so I can give it a bit of a mini review. 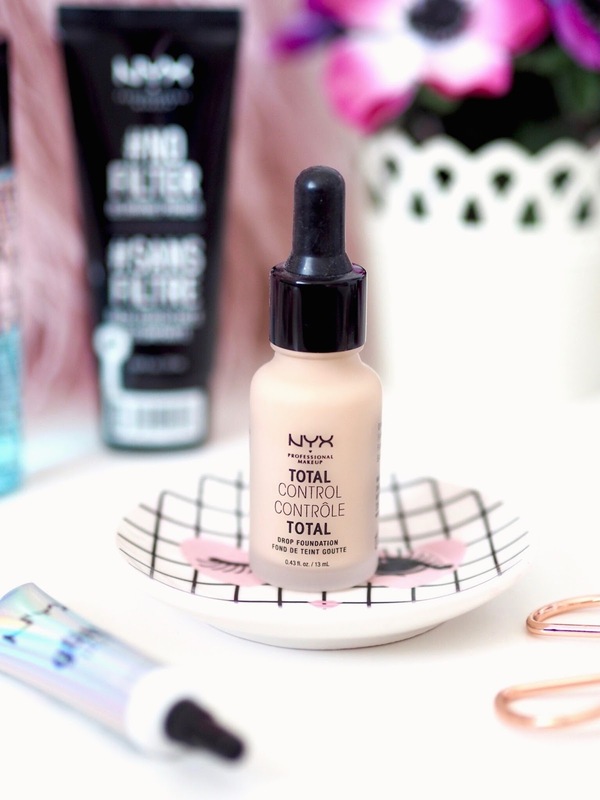 The idea of this foundation is that you can use the drops to customise the coverage you want, the more drops the more coverage. You can wear it alone or sheer it out by mixing it with moisturiser or a lighter base. I like it, I’m not overly amazed by it but it’s one I’d certainly like to give more of a try in a better shade match. It has a velvet matte finish that might not be the best for dry skin as it can slightly cling, but a good hydrating primer or moisturiser underneath will help. I’ve found the lasting power really impressive with this, I’ve also had no issues with fading or separating in any areas and my t-zone wasn’t as oily as it would usually be. The coverage was medium but it was slightly buildable and I liked how light it looked on my skin. I have combination skin but I found I didn’t actually need to set it with a finishing powder. I promise I’ll let my tan fade and try it out some more! As for eyes, one of the first things I had to get was some new Jumbo Eye Pencils. I absolutely adore these, I already own a fair few but the price difference compared to the UK made them such a bargain I couldn’t say no (well I could, but then I’d probably board the plane and spend a 7 hour flight wishing I had just bought them). I went for Cottage Cheese, a frosty white (the name actually makes me want to vomit) and Rust, a metallic reddish brown. 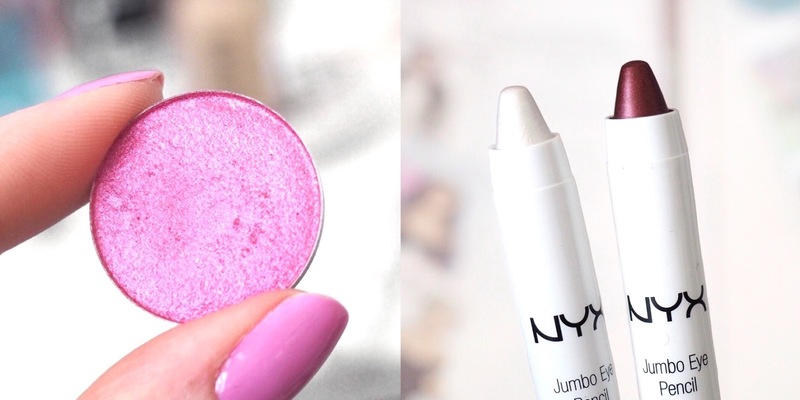 They’re just so easy to wear, sweep them over your lid and wear them alone or use them under an eyeshadow as a base to really make the colour pop. I then saw they did single eyeshadows so I picked up the Prismatic Pro Single Shadow in Dollface. I now wish I’d got more as I’m an absolute single shadow addict but they’d all been so mixed up and put in different places which made finding the shade shown on the sample practically impossible. Out of the shadows I saw, Dollface was the one colour that really stood out to me. It’s such an incredible colour, it’s a hot pink/purple duochrome that seems to look a different colour however you look at it – it’s absolutely beautiful! The last thing I went for was the Glitter Primer, I’m a glitter addict and I needed a new glitter glue as my usual MAC one was nearing retirement and I’ve heard lots of great things about this one. Out of everything I got this is by far my favourite, it’s certainly the best base I’ve found for glitter and pigments. It’s really easy to apply and I find whatever I apply on top seems to stick and last all day, no more worrying if I’ve got gold glitter falling down my face halfway through the day! So that’s everything I picked up, I’m really glad I’ve been loving everything but I’m still gutted I can’t give much of a review on the Custom Drops! 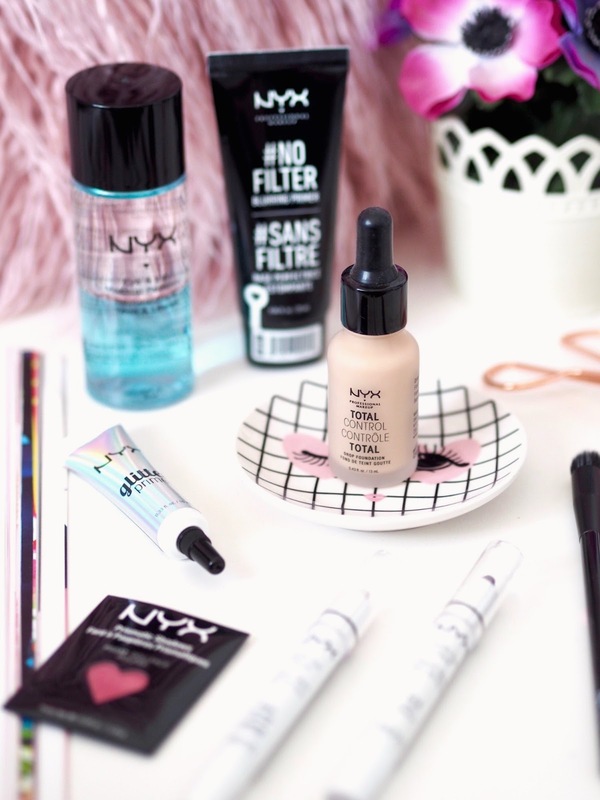 If you’ve tried anything from NYX before, let me know what some of your favourites are – I’m always on the look out for new products to try!